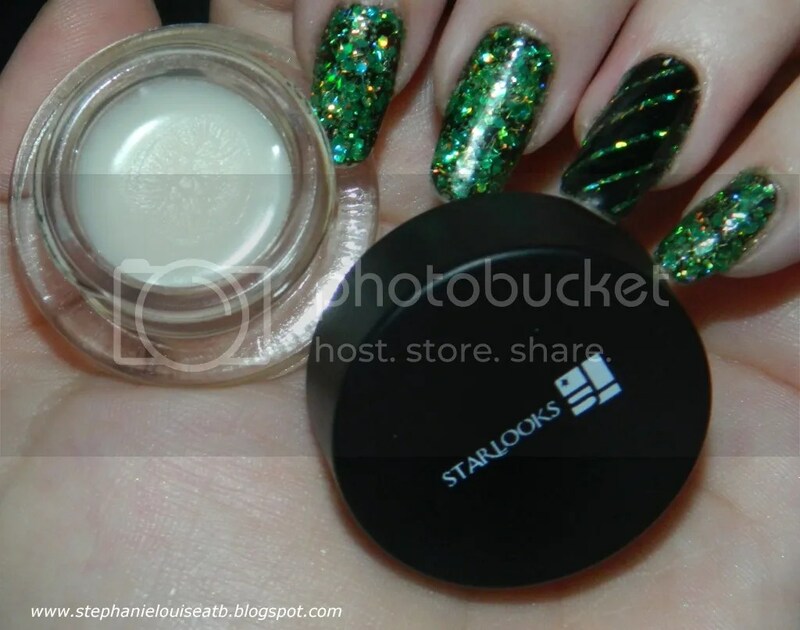 So if you haven’t heard the buzz about the Starbox from the makeup company Starlooks, it is definitely worth learning about! 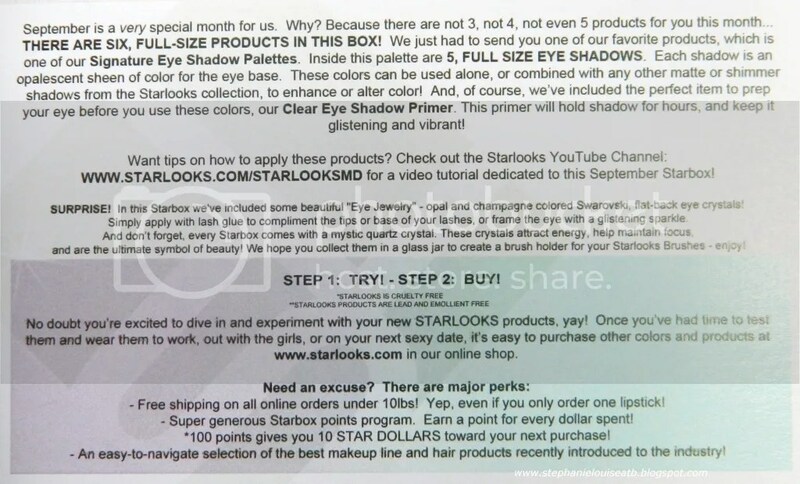 This is a subscription box for $15 a month that sends out FULL-SIZE products from the Starlooks line! If you haven’t seen their products before, I urge you to check out some videos on youtube. My favorite unboxing guru is thesassiwench who also has a blog as well! For the September box, I was incredibly blown away as it contained a product similar to one I had wanted to buy at IMATS but was sold out…read on, you won’t regret it! So I was a bit thrown off when I got my Starlooks box because although I had never HAD one physically, I had watched numerous unboxings. Their packaging is now white, which threw me for a loop in the video so I hope that explains my mumbling haha. 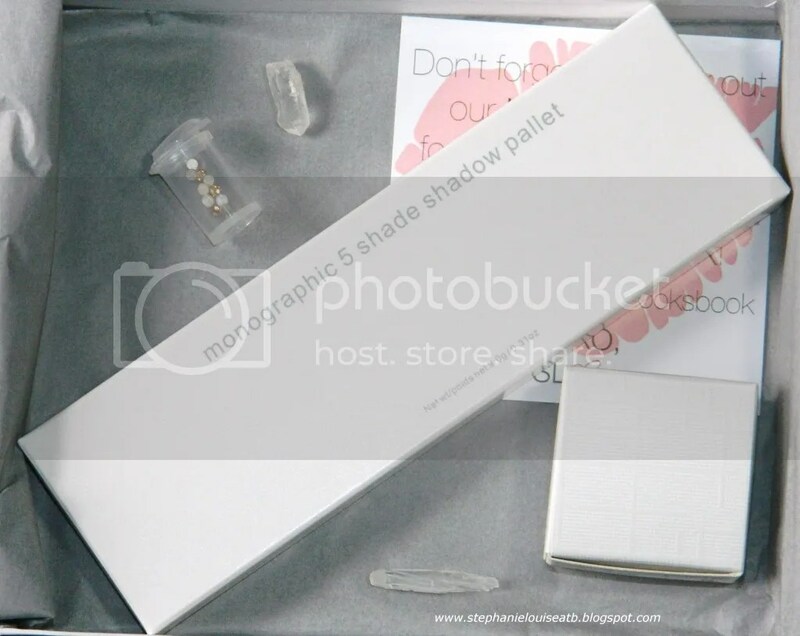 Here’s a closer look at what the inside of my box looked like + the beautiful crystals. I had the hardest time photographing those tiny stones but PLEASE know they are absolutely lovely! I hope you can see the opal glow a bit! 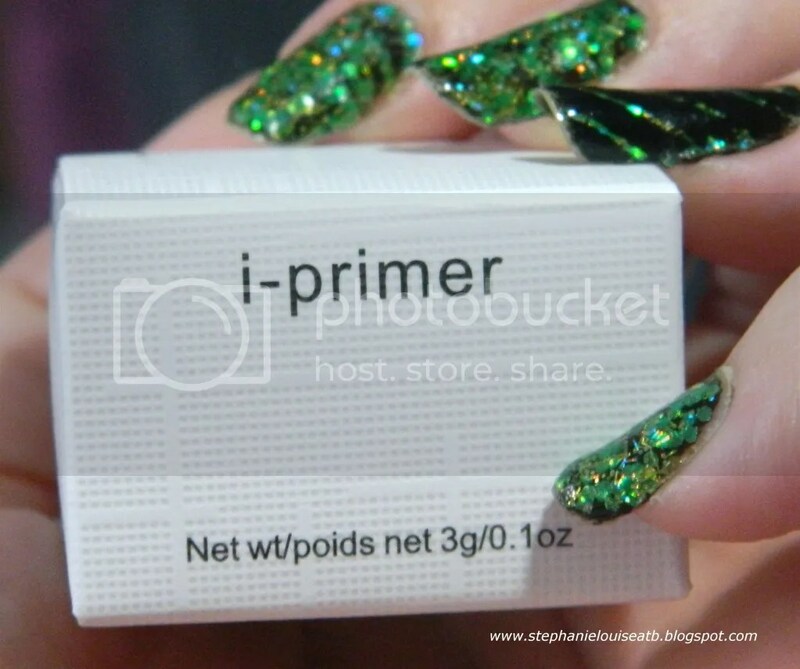 Let’s look at the eye primer first! So this comes in a pot which I love. I know some people prefer eye primers in a tube but I actually love min in jars since I apply with a clean finger 99% of the time anyway. Plus, then you can take a spatula & get out every tiny bit as opposed to performing surgery on a tube as to not waste expensive product. I’ve been using it for a few days now & I am quite impressed. As I stated in the video so eloquently (HA!) it doesn’t have that weird primer smell. WIN! It is a nice light primer, I can’t feel it on my lids at all after it sets up. 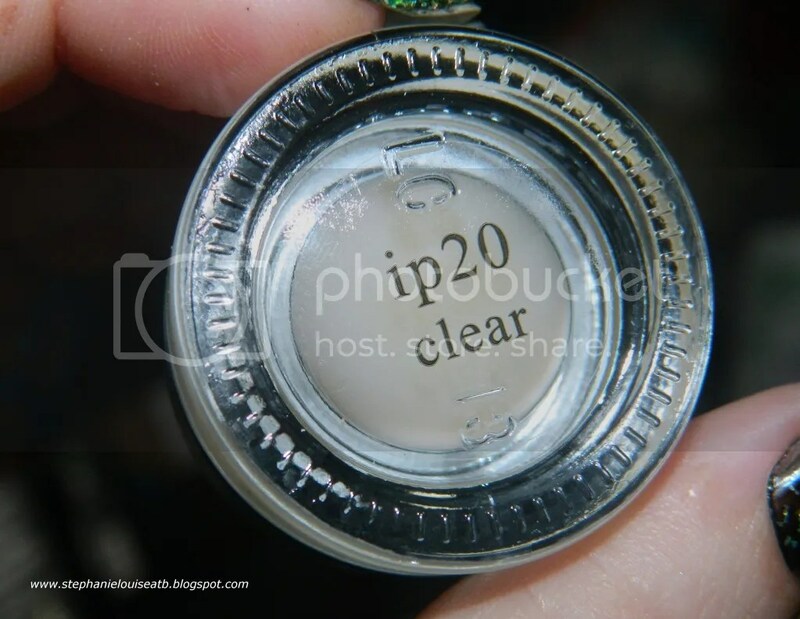 It works as any primer does for eyes by making shadows last longer. The packaging is a nice, heavy glass which makes it feel more luxe. I think I made it very clear that this palette is pretty remarkable in the video. Without repeating what I said 100 times again, this is definitely one of the things I’ve been looking for SO long. I just lucked into it, who would have thought? 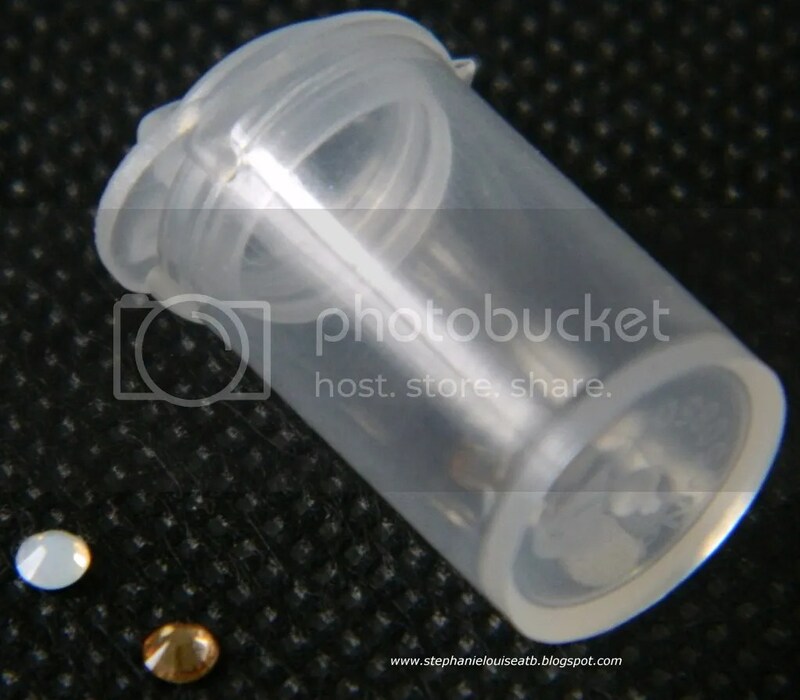 This is very similar to the very expensive NAKEDS stack I was planning to pick up at LA IMATS. When I had finally convinced myself to bite the bullet (ok it took maybe 2 seconds of convincing) they had been sold out since the day before. 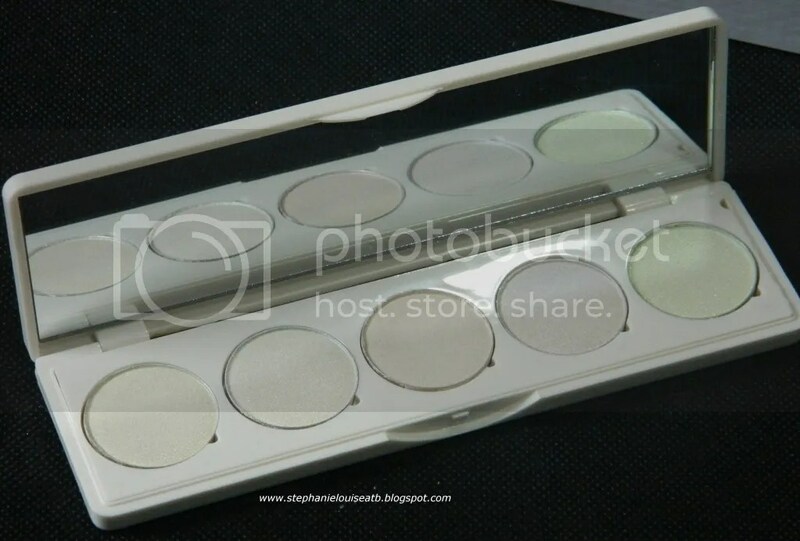 I actually prefer this in a palette I think because you really won’t need very much. I think the swatches pretty much speak for themselves. I swatched each shade over a black gel liner then on its own to the right. This was just one quick swatch of each shade, no blending. Do pictures speak louder than words or what? These are just too beautiful. I mean seriously, I adore. In fact, I left them swatched for hours because I am that distracted by shiny, beautiful things. I hope these go up on their site for purchase because if they ever make more shades, I’d love to pick them up. They act as transformers (as explained in the video) so they are super versatile. So all in all, I was really impressed with this box! For $15 a month, you KNOW you’re getting full sized products which is what a lot of people are asking me to find in a sample box. Although Starlooks is still a relatively new brand to me, I definitely think they’re on the right track. All of the packaging felt very sturdy & reminiscent of higher end brands. Some of the things I judge are the outside feel, if the labels seem like they will wear off, closures, & general logic of packaging.Plus, their added bonus items are lovely! I love that they have their own store as well, but I haven’t found these 2 products on there yet. Maybe they came out in the boxes first? That’d be pretty cool. One thing to note is that until they sell out, you can purchase PAST boxes HERE. How cool is that? Because the $15 box is usually quite a bit cheaper than full-sized products. From what I’ve calculated, these boxes are a great savings. Obviously this is my first box so I’m not sure about the past boxes, but they seem to be on par with this one. However, if you buy a PAST box, it is $25 instead of the regular $15. 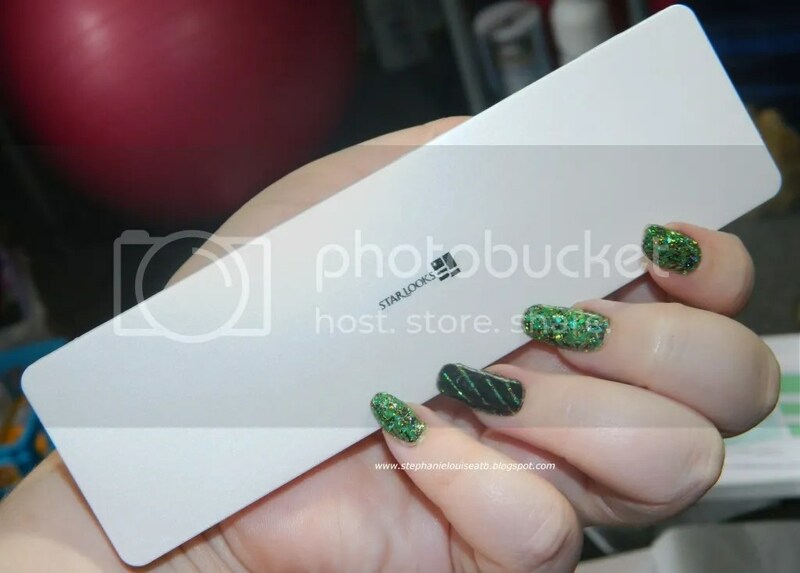 Who do I think will like Starbox?If you hate foil packets, want full sized products, & are looking to try ONLY cosmetics then this is what you have been waiting for! I am so glad to finally be able to show you girls an ONLY cosmetics box, whew! Been a long time coming eh? I hope you’ll check them out & feel free to post your first reactions below! **This Starbox was provided in consideration of review. NO affiliate links have been used. 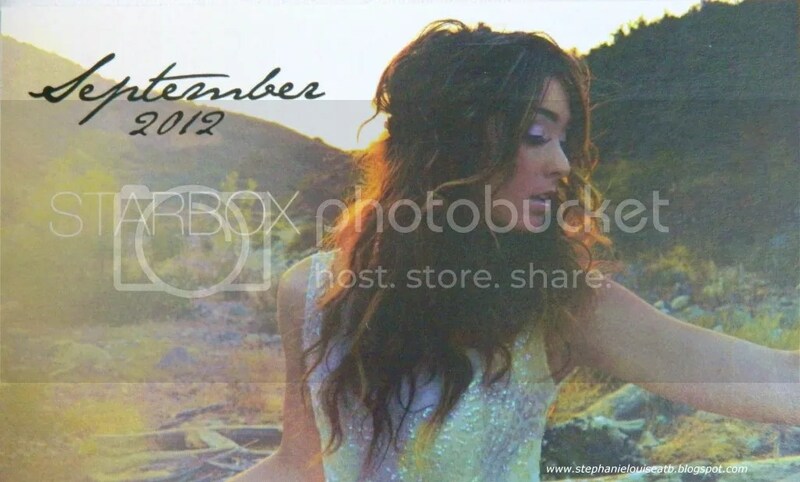 Starlooks Starbox October 2012 (A Subscription with ALL Full Sized Products!) Starlooks Starbox December Palette Eyeshadow look! 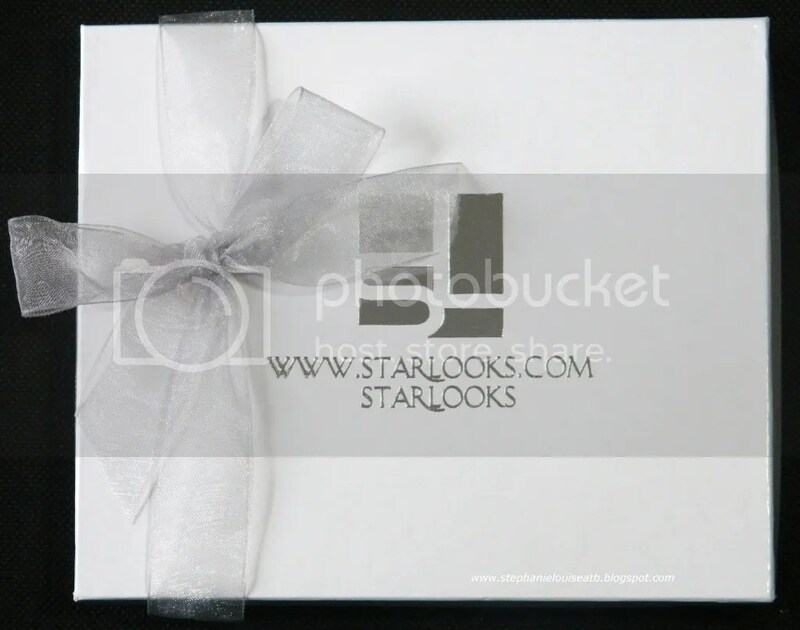 Starlooks Starbox for November 2012! December Starlooks Starbox Review + Swatches!